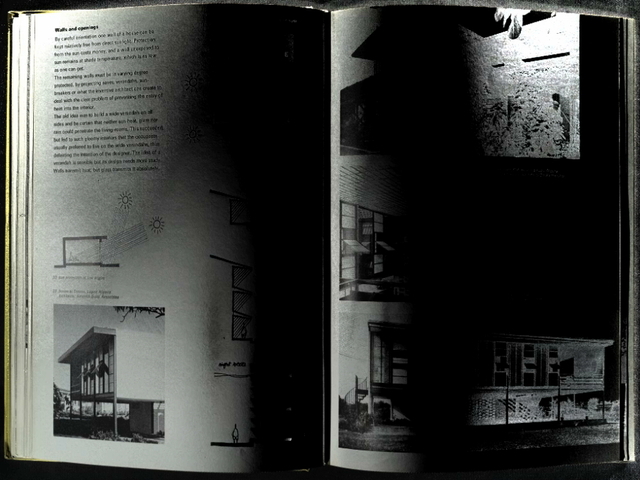 A virtual sun circles above Maxwell Fry and Jane Drew's 'Tropical Architecture in the Dry and Humid Zones' (1964), casting the open page on 'brises soleils' variously in light and solarised darkness. Part of an ongoing series produced with Reflectance Transformation Imagining (RTI) software. See also: The Paranoiac-Critical Method of Reflectance Transformation Imaging.